In a mixing glass squeeze all the juice from your blood orange (around 2/3 oz) and then add 2 lime wedges squeezed and the date. Now start muddling.. the date will be our delicious natural sweetener. Once you have created a consistent pulp add the pinch of Cayenne Pepper and taste for spiciness. Now pour in your Pineapple Rum and shake hard, really hard for 5 fast seconds, and double strain over ice into a rocks glass. The color is flaming red. The scent is fresh and full of citrusy notes... the taste is a fun intriguing combination of unique flavors, the citrus of the oranges balances the sweetness of the date, the spiciness of the pepper is toned down by the pineapple. 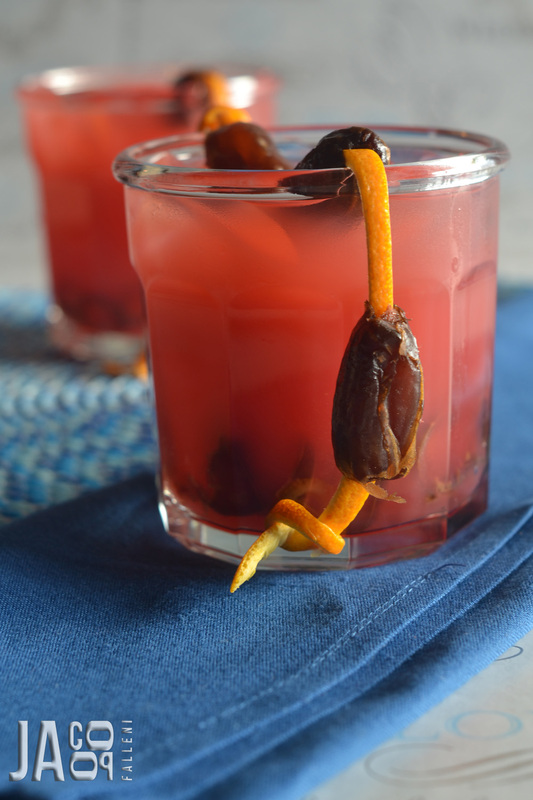 This really is a DATE in a glass.. unpredictable, sweet and spicy and sometimes with a bite!